Three minutes – about the duration of an elevator ride – that is the time frame available for founders and young entrepreneurs at the Elevator Pitch BW to present their business idea. Ten startup teams rose to the preliminary regional challenge. Two KIT teams won over the jury and about 100 listeners with their poised presentations. 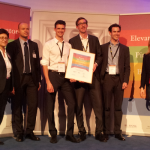 The initiative for start-ups and business succession (ifex) of the Ministry of Finance and Economics Baden-Württemberg initiated the novel state-wide event format Elevator Pitch BW in 2013. 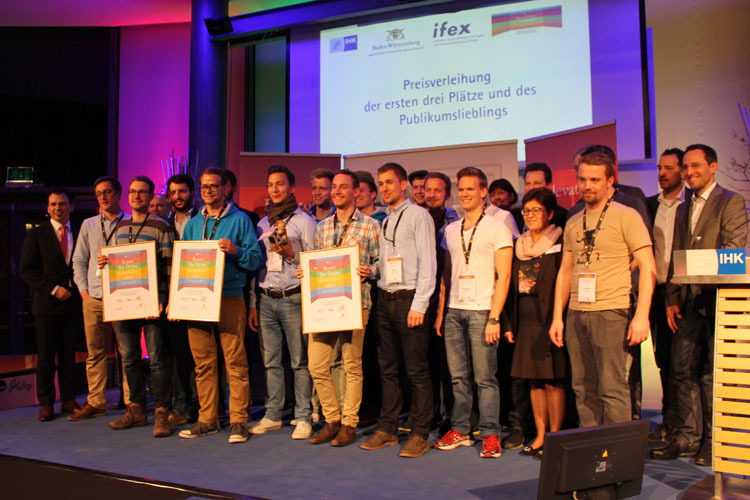 Until reaching the state final, this annual series of competitions travels through several cities in Baden-Württemberg looking for the best founders in the state. At the local pitch events, the so called regional cups, the aspiring founders can submit their business ideas and gauge themselves. Through a public online voting the ten most convincing ideas are determined – and they may make their pitch in front of a competent jury at the regional cup. The respective winners of the local pitch competitions win not only the prize money but also a place in the state final, where they can present their idea in front of a large audience again. There they have another chance to win prize money for the three best ideas. Even if it does not work out with a rank at the regional cup or the state final, all teams benefit from the media presence and the feedback within the Elevator Pitch BW. All teams confidently presented their ideas and answered the critical questions of the jury, consisting of representatives from ifex, the Karlsruhe founders’ alliance, and startup firms from Karlsruhe. 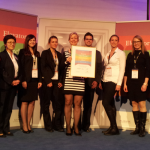 The pitches from Karlsruhe and the other locations will shortly be published as videos by Elevator Pitch BW. At the regional cup Karlsruhe, three KIT teams finally managed to prevail with their business ideas and convincing pitches. We are happy about this success and congratulate the three prize winners. 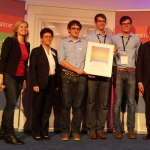 We are curious how far vasQlab and Lehrwerk (with a wild card) will come in the state final in the summer of 2015!